BATON ROUGE – Two women have filing a class-action lawsuit against Lumber Liquidators over an alleged scheme to import wood flooring that does not meet U.S. formaldehyde regulation standards. Kathy T. Jones and Dora D. Hall, individually and on behalf of all similarly situated persons, filed a lawsuit on March 2 in the U.S. District Court for the Western District of Louisiana against Lumber Liquidators Inc., citing violation of the Magnuson-Moss Warranty Act, redhibition, and violation of the Louisiana Products Liability Act and the Unfair Trade Practices and Consumer Protection Law. The class action surrounds the defendant’s alleged scheme to import, falsely warrant, advertise and sell Chinese flooring in the U.S. that fails to comply with relevant and applicable formaldehyde standards, rendering the flooring defective. 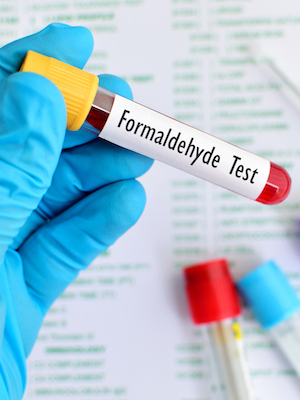 Formaldehyde is classified as a volatile organic compound, which is a chemical that becomes a gas at room temperature, the suit states, and is a known human carcinogen. In September 2013, Jones alleges she purchased American Mission Olive laminate flooring directly from the defendant. Similarly, in October 2014, the suit states Hall purchased ISP Mill River Walnut laminate flooring directly from the defendant. The flooring was manufactured in China, and the plaintiffs aver that the packaging was misleading in regards to the levels of formaldehyde in the flooring, which is regulated differently in China compared to the U.S. The plaintiffs seek class-action certification, compensatory damages and/or statutory damages, exemplary damages for class members, attorneys’ fees, costs, pre- and post-judgment interest and a trial by jury. They are represented by Salvadore Christina Jr. and Matthew B. Moreland of the Becnel Law Firm LLC in Reserve.